If you or someone you love have a disability that limits range of motion or makes performing some tasks difficult, you're likely already intimately familiar with just how challenging it can be to work around a home that isn't designed to be accessible. Even if you're in perfect health today, it's still a good idea to know what to look for in an accessible home. A ranch-style home is the easiest choice for families on the lookout for accessibility, since it does away with the need to negotiate stairs on a daily basis. If you are previewing 2+ story homes, make sure there's at least one bedroom and a full bathroom on the ground floor. Many traditional homes are built with a basement. Often the basement is used to house the electrical panel, water heater and furnace. In some basement homes, the washer and dryer are also located down the stairs in the basement. To keep things easy to reach, consider homes that utilize a utility room or an attached garage for these items and not a basement home. To accommodate a wheelchair or walker, look for bathrooms that have a shower stall that measures at least 30 inches by 60 inches. It's also important that the shower has grab bars, a hand-operated shower head and a zero-clearance threshold to make it easy for everyone to use. An accessible bathroom requires more floor space for maneuvering walkers and wheel chairs, and you'll also want a toilet that's placed a bit higher off the ground. Grab bars around the toilet are also a must-have for safety. Because many building codes require a house's foundation to be well above the ground, a ramp might be needed for getting in and out of the home. For the greatest possible ease of use, look for the flattest ramp possible. The ADA recommends a slope of no more than 1:12. Most modern doors are at least 30 inches wide, but 32 inches is the recommendation for easy wheelchair clearance, and 36 inches would be the most comfortable. Check also to see that there are no raised thresholds between rooms — even the transition strips between a carpeted and tiled area can be tiresome to navigate. Make sure that the parking area is convenient and offers enough room to maneuver around the car. A covered parking area for protection from the elements is ideal. And though a garage usually an added benefit of a home, make sure the garage will have around the car once it is pulled into the garage. Door knobs can be difficult to use for many people, especially those with severe arthritis or other limb-inhibiting conditions. Paddle-style handles are easy to operate and come in all sorts of styles and finishes to blend with any decor. Many of these accessibility features can be retro-fitted, but many of them are already in place in homes that are specifically designed to be more accessible. 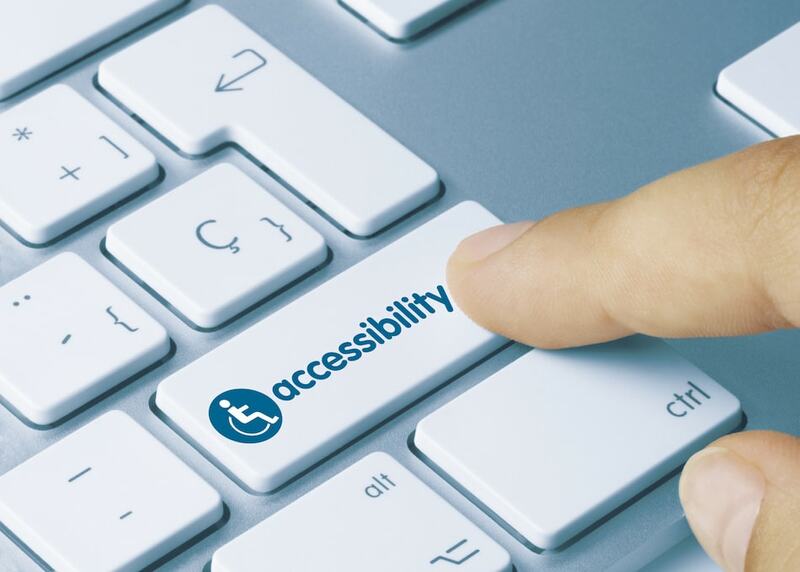 Let your real estate agent know that you need to prioritize accessibility, and he or she will guide you to homes that fit the bill. If you're not sure that a house you're considering is a good candidate for an accessibility renovation, seek out a home inspector with ADA training for advice.